To successfully combat winter’s wet and chilly weather, you really need power boots. By power boots I mean boots that can do at least two jobs at once: be good enough for walking (as opposed to hopping in and out of the car) and nice enough to look at. I don’t think that this is asking too much. Yet, it’s not that easy to find the boot that’s right for you. The Chelsea-style boot is a good option and an extremely popular one these days, but it can’t be the only option. High heel boots are always high maintenance. Chunky boots are more comfortable and less demanding, but they can get too rugged-looking with use. 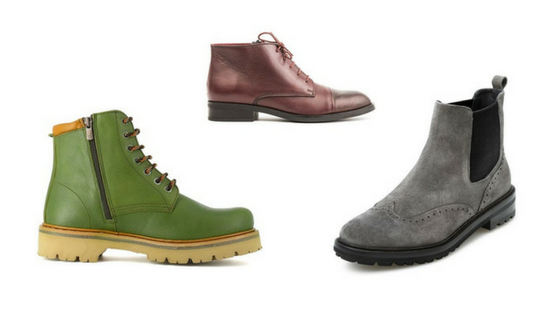 The combat boot is great, but it doesn’t go with everything. Ideally, you would have a pair of boots for every occasion and many people do, but what if you don’t have the money or enough room in your closet? Boots that I’m about to show you are made of quality materials that will not fall apart from contact with water, snow, salt or ice-clearing agents. They have low to moderate heels, so you can walk at a fast pace without suffering the consequences and they have plenty of style. All that makes them power boots – boots that you give you the power to feel confident when navigating cold weather and the corresponding wardrobe requirements. After sifting through many Fall-Winter collections by numerous Spanish brands, I’ve narrowed my list of power boots down to six. While there are many attractive options out there, I made sure to choose the ones available for delivery to North America. 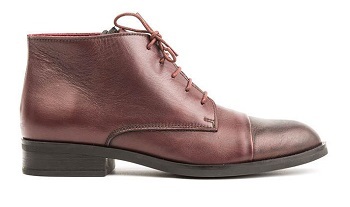 Short lace-up boot in reddish and burgundy leather by AGARE. 75 Euros on the AGARE website. This reddish brown and burgundy leather boot is by AGARE, a company based near Zaragoza, Spain. I like the boot’s masculine elegance, tailored in a classic Oxford style. Masculine style in women’s fashion is becoming very prevalent these days, changing the way women dress. More and more companies produce shoes that are unisex. This boot is definitely not unisex, but it will work very well with a pair of business slacks or “work” jeans. The leather is beautifully smooth and finished with a slight metallic sheen. I personally own a few pairs of AGARE boots and the quality is great. The leather is strong, but pliable, and the cut is both comfortable and flattering. I can attest to these boots’ ability to successfully withstand more than one season of our rough Canadian weather. 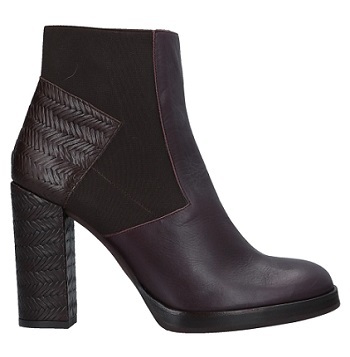 At 75 Euros these leather boots are very moderately priced. Even when you add shipping and a possible custom duty, you would still be getting great value compared to what you get for similar quality in many stores here. 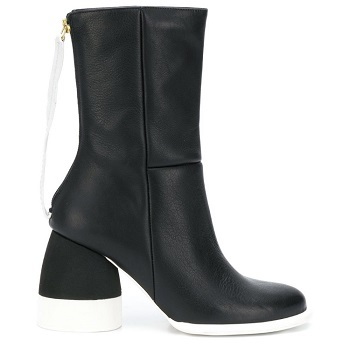 Short patent leather ankle boot with double buckle by UNISA. Heel height: 0.4″. 129.90 Euros on the UNISA website. 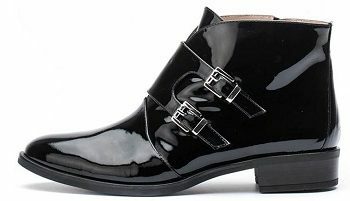 This double buckle ankle boot by UNISA is made of quality patent leather that would make any outfit shine. It’s dressy, but not too dressy. I can picture it being worn with a wide range of outfits. 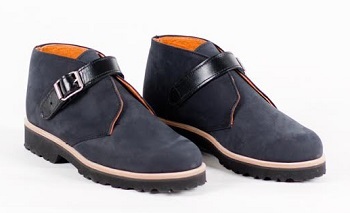 The flap overlapping the instep is secured with twin silver-colored metallic buckles – the style also known as “monk strap“. 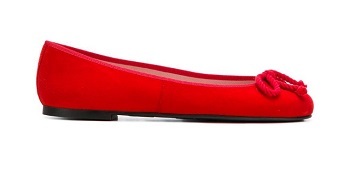 I’ve long been a fan of the UNISA signature silhouette – always very graceful, be it a boot or a pump. I have recently spotted some UNISA models at the Hudson’s Bay‘s website – a mid to high-range multi-brand Canadian retailer that also owns Saks Fifth Avenue. I think that I will be heading there in the near future to finally try on some UNISA shoes and see if they are as comfortable as they are beautiful. 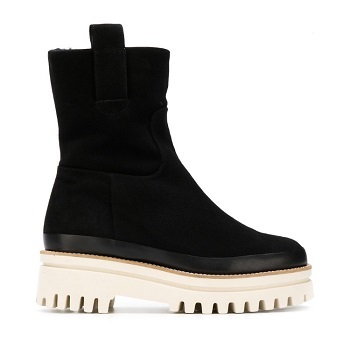 “Desert #2” mixed leather black unisex boots by Deux Souliers. 195 Euros on the Deux Souliers website. These unisex boots stand out because of their unusual design, as do most Deux Souliers shoes. The Barcelona-based Deux Souliers is known for its avant-garde style. The shoes are also very high-quality, thought through down to the smallest detail. Their toothy soles, not too noticeable, but very useful in wet conditions, make a harmonious part of the whole. 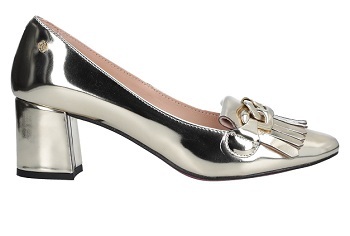 Two open flaps – a clever allusion to the Oxford-style shoe – are held together by a shiny leather strap with a side buckle. The website description mentions laces, but I can’t spot them. A small mystery. The outside of these short boots is made of greased split leather, which makes them water-repellent. The lining is cow leather and so is the pinkish-white welt – a strip of leather that runs along the perimeter of the shoe creating a nice, brightening contrast to the overall blackness of the exterior. These boots definitely have the cool factor going for them. They are also undoubtedly practical. 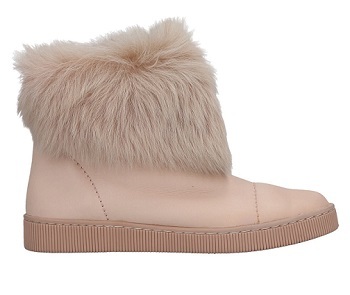 Never having owned a pair of unisex shoes, I would love to own these, if I had the extra cash right now. That said, I don’t think that they are too expensive – for this kind of level of design and other important features their price is downright reasonable. 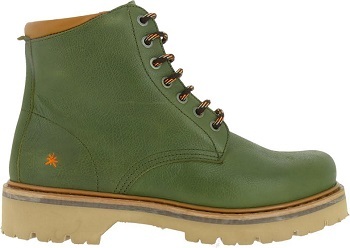 “Marina” lace up boot by The Art Company in khaki green. Inner zipper. 220 Euros on The Art Company website. 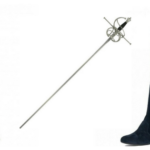 “Marina” combat-style boot by The Art Company. Also available in seven other colors. 220 Euros on The Art Company website. Speaking of the cool factor, these unisex boots by The Art Company are incredibly cool – not because of their combat boot style, which is common enough, but because of their color. More precisely, it is the combination of the color and the design that made me fall in love with them at first sight. Color is so important in our lives – good color is a pleasure to look at. It can change your mood and make you stand out from the crowd. Color in shoes is relatively rare, because people prefer to play it safe. Shoe brands often say that buyers admire their colorful models, only to order the standard black, grey, brown, or burgundy, sighing that their customers will simply not dare. It’s too bad, because it discourages people from making colorful shoes. 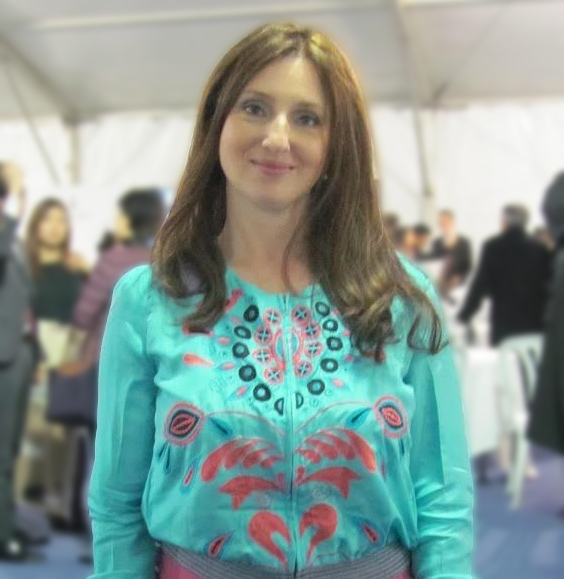 Spanish brands are among the world’s bravest in that regard, because the Spanish simply love adding color to their life. 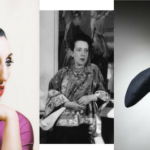 Spanish artistic tradition is full of amazing colorists. The Art Company brand, based in La Rioja, is one of Spain’s most fashion-forward youth-oriented brands. The brand’s fearless and confident style has won over many people around the world already. The quality is top-notch and the comfort level amazing – all things that I can attest to personally, as I am fortunate enough to own a pair from their summer line-up. 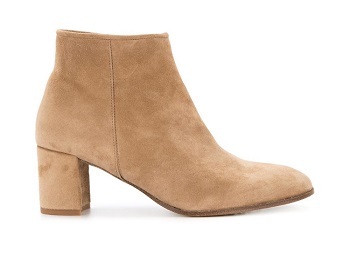 I would love to add these “Marina” boots to my shoe closet. 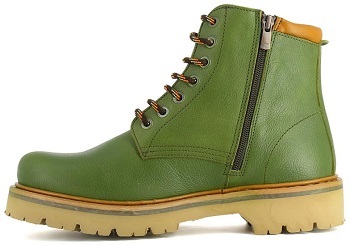 The color is definitely unique – how often do you see grass green combat boots? I think that this khaki green is a great choice. Being so much brighter than you regular military-style khaki, it softens the look considerably. Being lined with steam microfiber, the boots also promise to be toasty. As for the price – well, quality is not cheap, which is not to say that these power boots are prohibitively expensive. 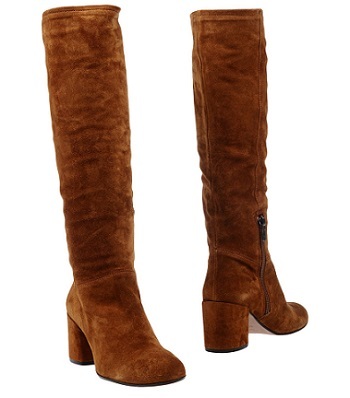 All things considered, with these boots you are getting a lot of bang for your buck. “Debora” ankle boot in “washed black” by Sendra, featuring decorative floral stitching and Cuban heel. Currently at 267,75 Euros at the Sendra website. This chic Western-style ankle boot with slits on both sides is by Sendra, a boot maker from the Almansa region of Spain. 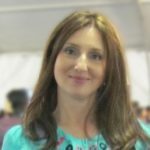 It has a long and illustrious reputation, both in Spain and abroad, especially in the US. Western style boots are definitely in the category of their own. They are an inextricable part of the rebel look. That said, you don’t have to be a total rebel to wear them. 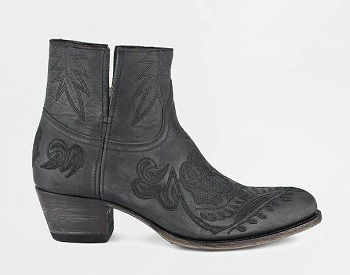 Western boot are universally popular (who hasn’t owned a pair of Western boots in their life?) that people have been successfully working them into classic urban attire for years now. While all bona fide Western boots are priced in the $200 and up category, quality differs considerably. I personally paid $300 dollars for a pair of real Texas-made cowboy boots once and they started coming apart after the first year of wear, even though I only wore them on occasion and always in the city. Not to mention that they started hurting me after a while. By the end of the second year they literally had holes in them and I threw them out. A few years later I bought a pair of Canadian-made, supposedly authentic, cowboy boots. They didn’t perform much better, I’m sorry to say. Sendra, on the other hand, has a great reputation for quality, which does not greatly surprise me, as this is the case with most Spanish shoe brands, whatever the style. The brand also has a great reputation for beauty. I’ve featured Sendra boots on the Spanishoegallery Blog before, as you can see for yourself here, here, and here. Sendra makes boots of different colors, many wonderfully embroidered. The “Debora” boot above features elaborate floral pattern stitching. Being monochrome, it doesn’t so much stand out as it gives the boots a very interesting texture. The slanted Cuban heel adds an extra charm. These power boots are definitely casual, but also highly versatile in terms of outfit choice and terrain. They can take you from the street to the dance floor to the barn and back, without being worse for wear. Sendra boots are priced in the medium-high range and deservedly so. 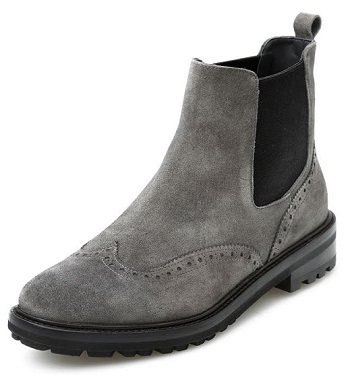 Suede Chelsea-style “Eagle” ankle boot in anthracite grey by Homers of Menorca. 233 € on the Homers website (delivery to Europe and some adjoining countries). I admit it, I’m guilty for putting this boot in the first spot, when I said that I would only stick to the brands that deliver to North America. The fact that Homers, the Menorca-based brand that makes it, does not deliver across the pond, has been my sore spot for a while. I love the brand because of its effortless, down to earth elegance and the meticulous quality of craftsmanship and materials. The Chelsea-style in this case is almost an afterthought. Homers generally makes great winter boots in both dark and light colors, but this boot’s particular shade of grey, combined with the sumptuous suede texture and delicate brogue-style decorations, really did it for me. I don’t have much more to say for myself – the heart wants what it wants. Homers delivers within Europe, as well as the Russian Federation. What do you think of my six power boots? Drop a comment below!